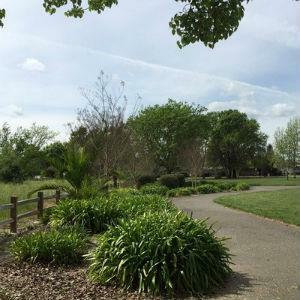 The oldest park in Sebastopol boasts a public swimming pool, baseball field, playground, theater stage, lots of grass and picnic areas. 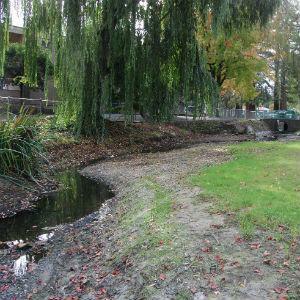 Cedar Creek is a delightful part of this community park. Home to lots of diverse wildlife and the Cajun Festival. Fun! 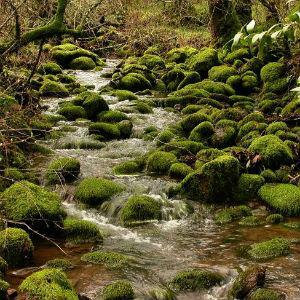 Close to 8.5 miles of paved hiking trails will have you thrilled at the adventure that you are about to take. 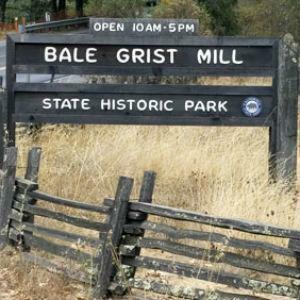 Hike, bike ride, roller skate or horseback ride on this wonderful trail. Your family will love the birdwatching and beautiful views. There is something for everyone here: a roped-off kiddie area in the summer, cheap kayaks to rent, and beer along with ice cream at the snack shack. 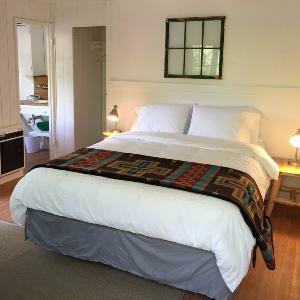 Stay in a cabin with kitchenette, or hook up your RV for a wonderful and rustic riverside getaway. 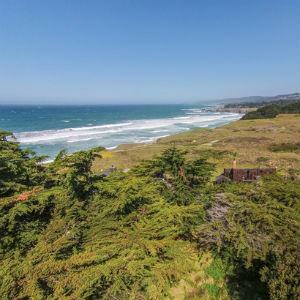 Easy beach access and views of the Russian River are yours when you find yourself at this wonderland. 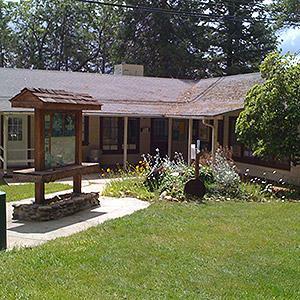 Snug in the redwoods and offering you all of the bounty of nature, you and your family will fall in love with this intoxicatingly beautiful place. This 8.5-acre beauty features a dog park, picnic areas, BBQs, volley ball court, horseshoe pits, and play areas for your human children. 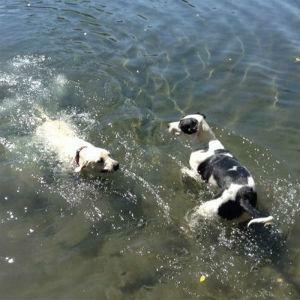 Bring the whole family (two-legged as well as four-legged), for a fun, wholesome day outdoors. Oh, this is the place that your kids want to be at! Unique art engages them while they are playing. For you? The quiet and tranquility of this stunning park. 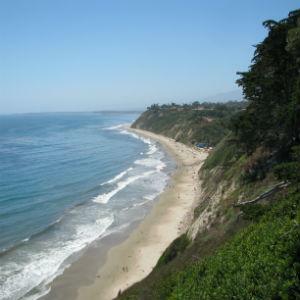 You and the kids will love the swimming and beach areas offered by this county gem. 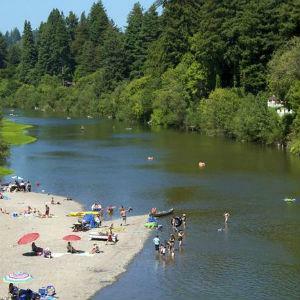 This beach offers river access for small craft such as kayaks and canoes. Excellent spot for birdwatching, river wildlife watching and having a picnic. Serene and lovely. 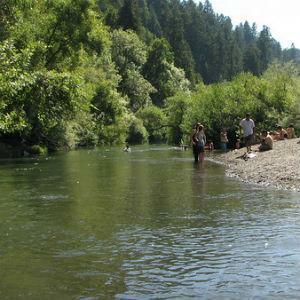 Great place to take a dip in the Russian River. 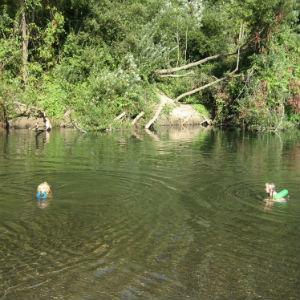 Not too deep for the little ones and dogs, but deep enough for kayaks, canoes. 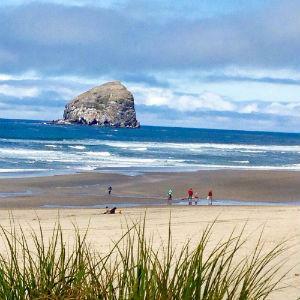 Have a picnic on the shore and enjoy a little fun in the sun. Oak Grove Park has something for everyone in the family! 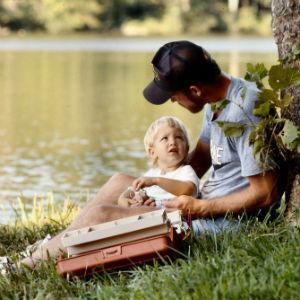 Go fishing, try the paddle-boats and aqua cycles, play at the 18-hole disc golf course or take the kids to the children's playgrounds. There are also two nature trails among the old grove trees. 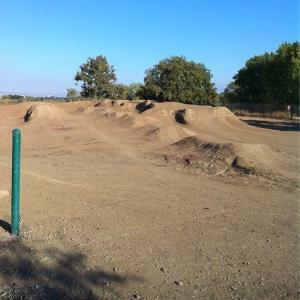 Offering some of the best mountain biking in California, the expansive trails of this 5,000 acre park are also perfect for hiking and horseback riding. The friendly waters of Lake Ilsanjo and the historic Valley of the Moon make this park exceptional. 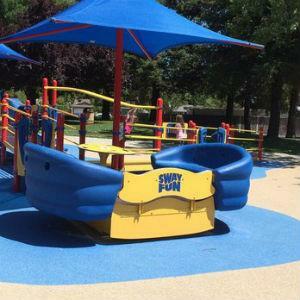 This park is a blast for kids and adults alike! The space is meticulously maintained, with tennis and basketball courts, baseball diamonds, and full size grassy fields. A huge play structure and sand pit for the little ones means that everyone can play. We are a private preserve actively committed to the breeding and preservation of African hoof Stock. Our various species of zebra, giraffe, and antelope range from critically endangered to endangered. Your dogs will love coming to this green, grassy park with plenty of space and lots of four legged friends! 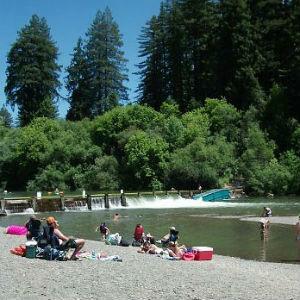 There's also a playground for the kids, and a gravel path to the Russian River, where the whole family can splash around. Whether you live here in Baltimore or are just visiting, there’s a trail great for walking with beautiful water views. 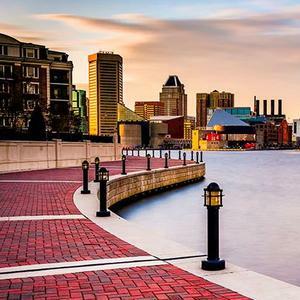 The Waterfront Promenade is a paved walkway that hugs nearly seven miles of the waterline of the Inner Harbor. When you're ready to escape the pressures of city life, Bear Creek Lake is the perfect getaway. 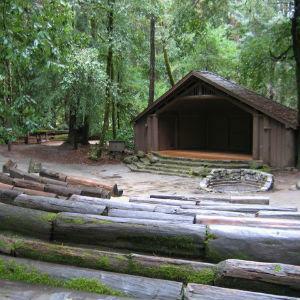 It offers camping and all the activities you could want. 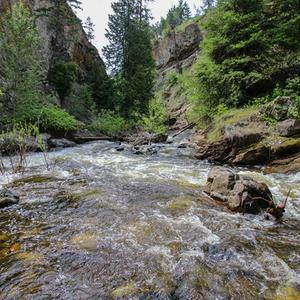 From hiking to fishing and everything in between, this state park is an outdoor enthusiast's paradise. The park features lakeside camping, over 400 metres of sandy beaches and 5 km of spectacular, well-marked hiking trails. A picturesque canyon has been carved into the bedrock by Bear Creek tumbling onto a cottonwood-lined delta. 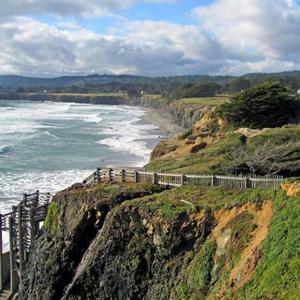 Just a short drive from Santa Cruz is California's oldest state park, where ancient coastal redwood trees and a surprising number of waterfalls make their home. 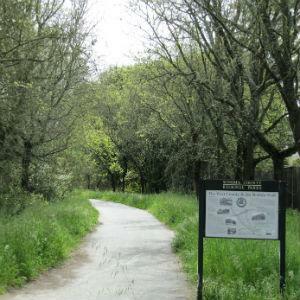 The Skyline to the Sea trail travels along Waddell Creek to the beach and saltwater marsh. 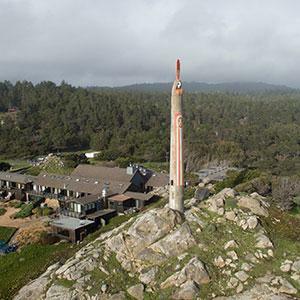 Trails start at Highway 1 parking areas and cross bluff-top meadows and forests to rugged coastline. Cliffside staircases lead to secluded beaches with sandy coves, tide pools, and rock formations. Diving, fishing, boating and hiking available. This secluded beach is a lush paradise well known to surfers. 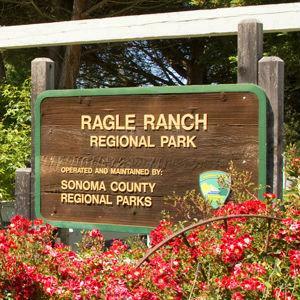 Located behind the Sea Ranch lodge property, the rugged coastline and ample wildlife make it an outstanding hike for the adventurous. Bodega Head is the rocky headland that forms the entrance into Bodega Harbor. 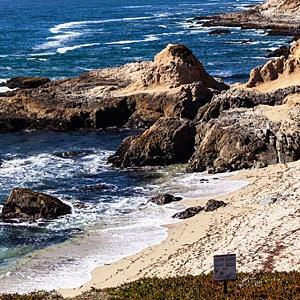 The harbor side provides a popular crabbing area along the jetty and the many hiking trails on the ocean side allow access to small, sandy coves and spectacular scenic views. 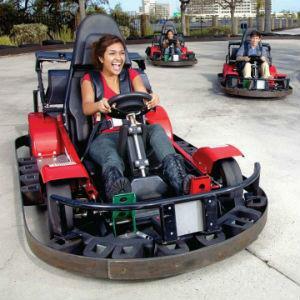 Amusement center featuring mini golf, go karts, arcade games and fun for the whole family.